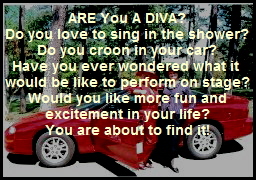 Visit a rehearsal - Do you like to sing? Come to a rehearsal and find out how you can become part of our chorus. We are a fun-loving, energetic group of ladies who meet on Tuesdays, from 1 - 4 pm in the choir room of Christ of the Hills Methodist Church, 700 Balearic Rd., Hot Springs Village, AR. You do not need to read music to sing with us. We use tapes and CDs to help us learn our music. The chorus is thrilled to introduce Margaret Fletcher Kresse. Prior to moving to Hot Springs, Kresse was the certified director of the Voice Of Vermilion Chorus (Sweet Adelines International), in Lafayette, La. She is an accomplished musician, having degrees in music/vocal performance and guidance counseling. 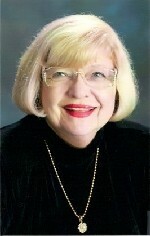 She has directed and produced numerous shows during her career as a music/voice teacher. She is also a former Miss Pine Bluff, competing in the Miss Arkansas Pageant, being in the top 10 and winning the talent competition. To say that the chorus is excited about having her join us is an understatement.